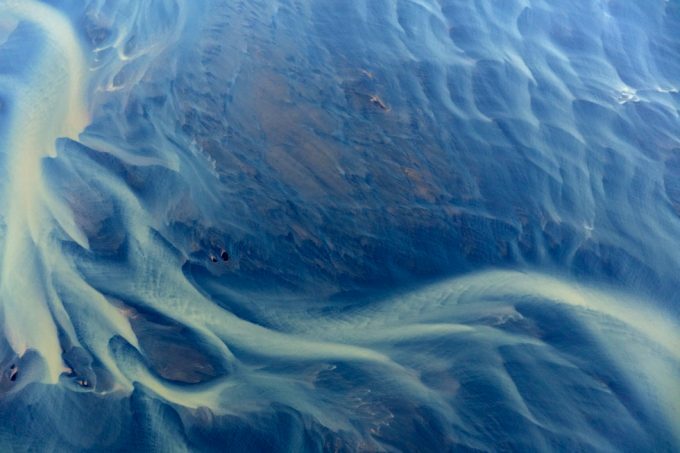 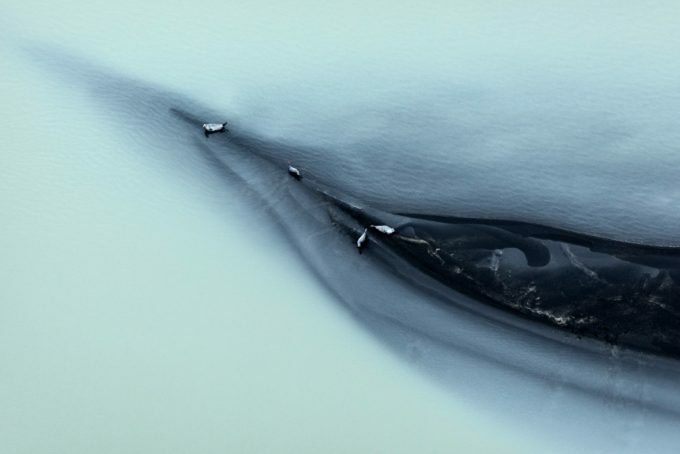 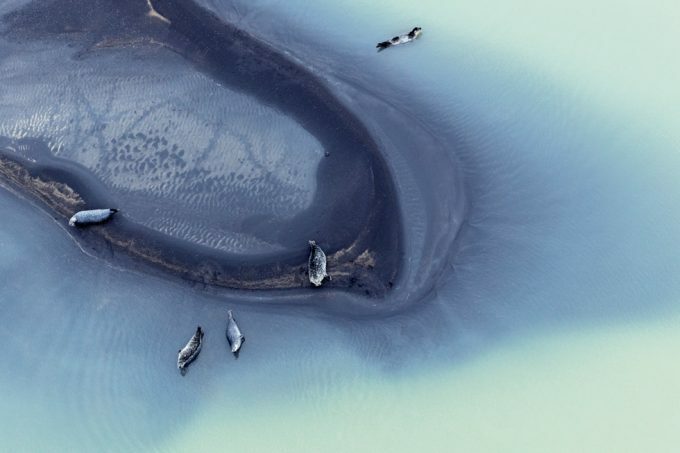 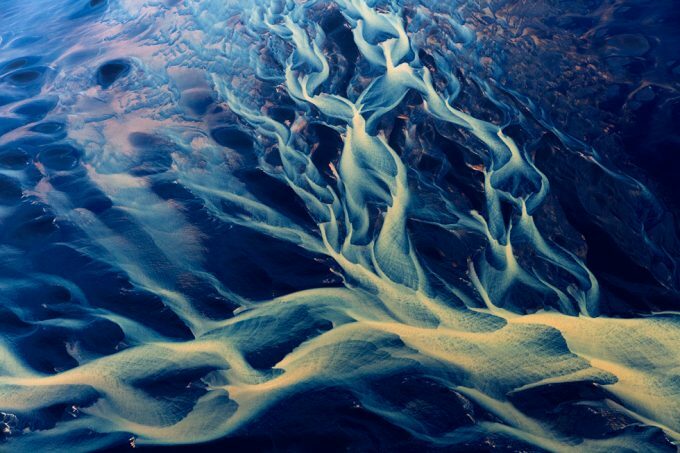 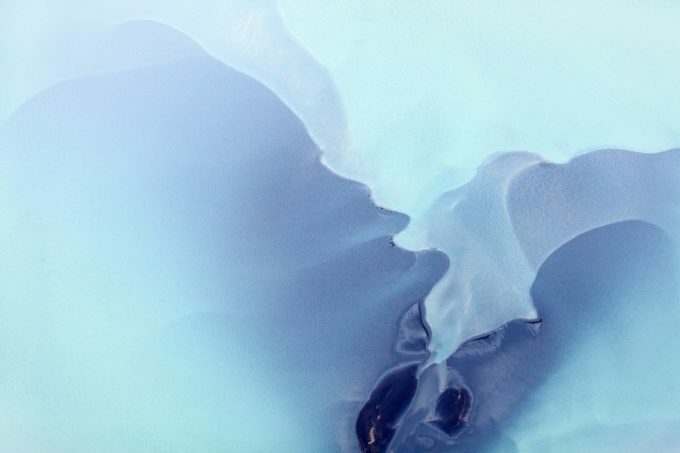 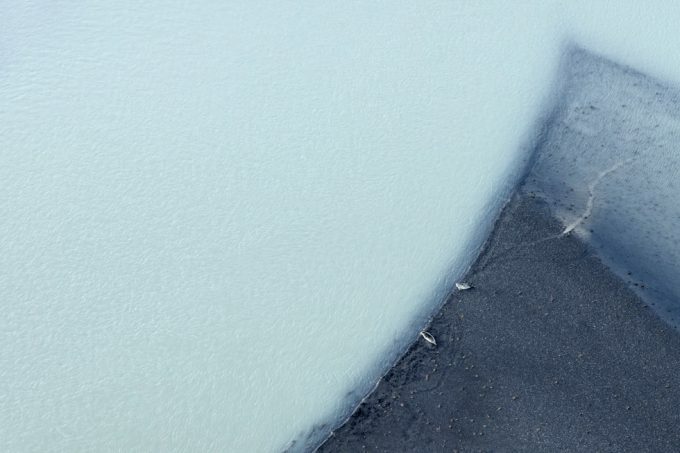 This body of work features a selection of aerial landscapes on the coasts of Iceland where river water, white with the “flour” of rock that has been ground to dust by inland glaciers, empties into the blue Atlantic Ocean. 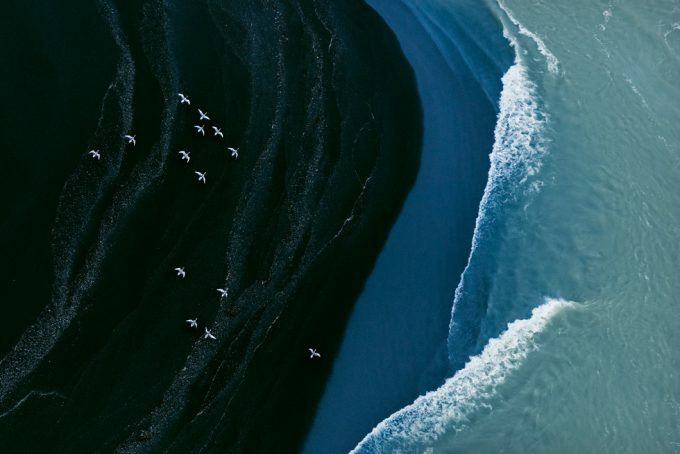 This is a place of black sand beaches and pounding surf. 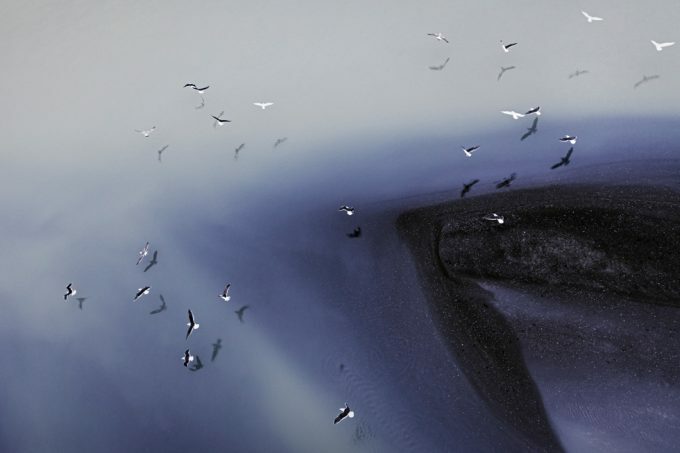 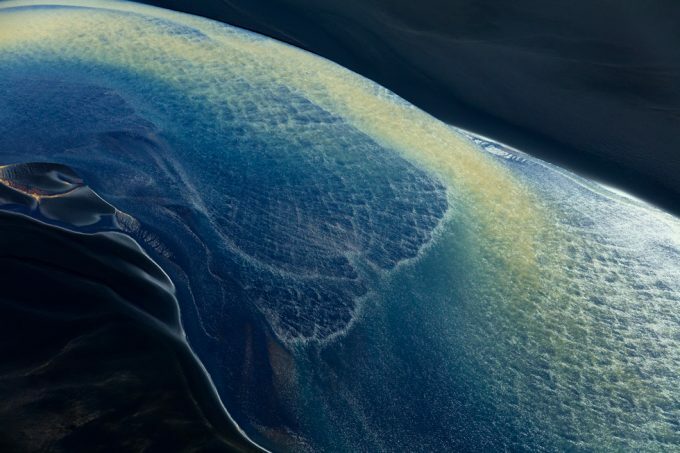 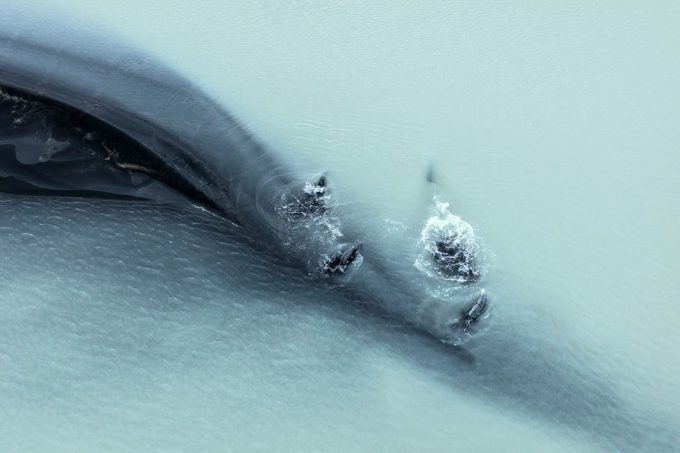 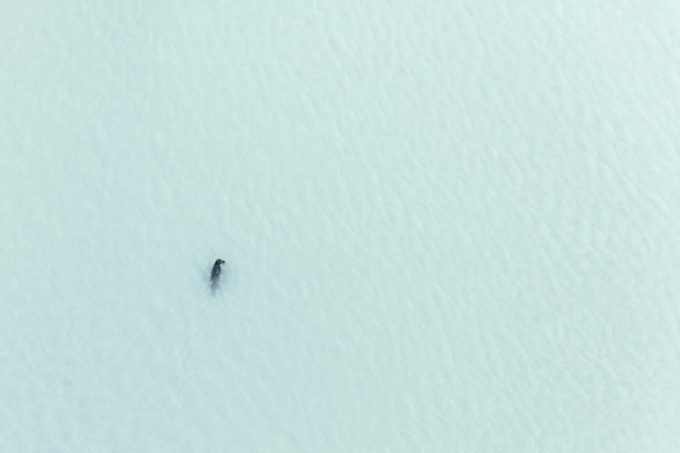 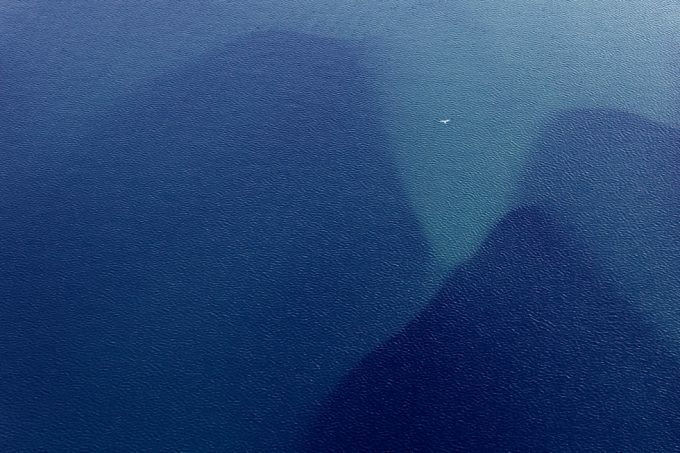 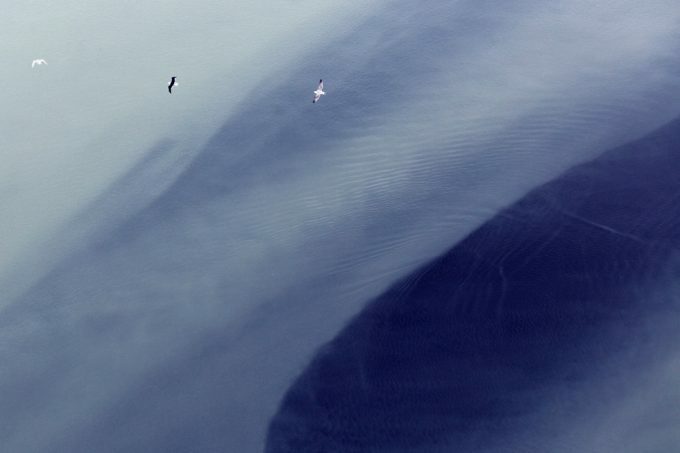 Flying in an ultralight aircraft constructed of mylar and aluminum, Seckler photographed white water braiding jet black tidal flats with seals diving into caverns of foam and birds soaring below the height of his plane.